There are few places in the world that can claim as high a concentration of musicians in it’s culture as the islands of Cabo Verde. 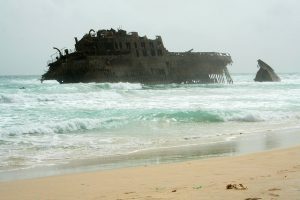 Music is the soul of these islands and there are numerous unique traditions and styles that have developed during the course of Cabo Verde’s stormy and troubled history. This island nation currently has a population of just over a half million people. 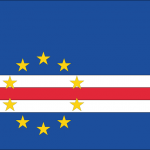 There are more Cape Verdeans living in other countries, such as Portugal and the USA, than in Cabo Verde itself, a result of some of the hard times that Cabo Verde has suffered. Many prominent musicians who have had success performing Cabo Verde music today and in the last century come from these communities. And yet the islands are permeated with the strains of the melancholic morna, the rhythmically complex and percussive batuque and the fiery funana and coladeira. 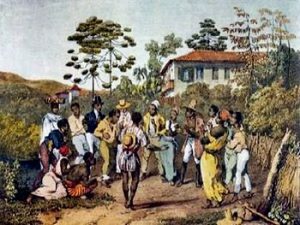 The styles and traditions of Cabo Verde’s music differ somewhat from island to island, but have common roots associated with a mixed European and African heritage and are colored by other influences, particularly the music of Brazil, which shares Portuguese origins, and the creole cultures of Cuba and the Caribbean. 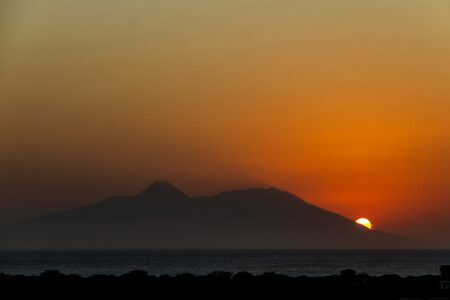 The morna is perhaps the most tied to Cabo Verde’s national identity. It is typically a haunting, lyrical form heavily infused with saudade– untranslatable, but meaning a wistful, bittersweet and nostalgic yearning for that which is gone, perhaps never to return. 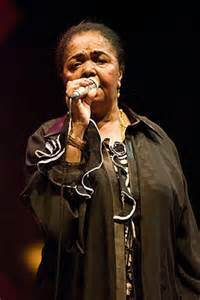 The following clip is Cesaria Evora, ‘The Barefoot Diva’, singing Saudade, a Cape Verdean song that helped make her the islands’ most famous artist. The song is technically a slow coladeira, a form closely related to the morna. 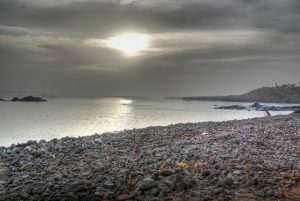 Another musical genre of the Cabo Verde Archipelago is the batuque. Whereas the morna can be considered the national form, records seem to indicate that the batuque is the oldest form. Also a dance, it is highly percussive with complex rhythms. Due to disapproval from the Portuguese government and the Church, who considered the form too African, attempts were made to suppress it. One interesting result of this suppression is the custom of women slapping the rhythms on bags of clothes because drums became unavailable. 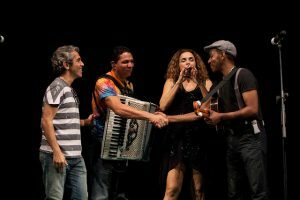 In the following video from Cuban born Mayra Andrade, women are shown beating the rhythms of the batuque on bags as an introduction to Ilha de Santiago, a song that pays homage to the island of Santiago, the island most associated with this form. The coladeira and funaná, two other common forms, also feature the syncopated rhythms and long melodic lines characteristic of the morna, but are generally more lively, sometimes having lyrics that deal with social themes or satire in the case of the coladeira or more sensual and risque topics as in the fiery funaná. Here is another coladeira performed by artist Teofilo Chantre, an artist from the island of São Nicolau. instrumentation was mostly limited to guitars, violins, the cavaquinho-a small four-string guitar, and percussion, the acoustic sound became transformed into a more up-to-date electronic sound almost overnight as Moogs, Korgs, Hammond organs and the like were distributed to young musicians throughout the island nation. Today, the musical scene of Cabo Verde remains alive, thriving in the streets and cafés as well as in several international festivals such as the Kriol Jazz Festival in Praia, now in it’s 7th year and preceded by the Atlantic Music Expo, an international gathering of producers, musicians and journalists, now in it’s 3rd year. Additionally, Carnaval is celebrated in February on all the islands. Revelry, music and flamboyant costumes and floats abound, particularly on the island of Sao Vicente, where the carnival in Mindelo draws thousands of people. The Baia das Gatas Music Festival is yet another annual party and music festival taking place on the island of São Vicente, and featuring local legends as well as international artists. The Gamboa Festival takes place in May in the city of Praia and is yet another festival that draws big names and crowds of music lovers. We will finish off with a clip of a newer artist, Ceuzany, who was one of the featured artists of the Baia das Gatas Festival in 2015. I like your Island profiles, the views are amazing. I have never been on a Island before and to learn how people from all over comes to a specific Island to play their music. It is inspiring to me because they are singing or playing their instruments from the bottom of their hearts, and it is also a story behind it. Great post. Thanks Brenda. I’m so glad you enjoyed my post. I find the music very inspiring too. There is so much music making on these islands and in the Cabo Verdean communities around the world, it is amazing. This is a great article! I could listen to this music all day. I can feel a lot of passion in the music. It was a pleasure to read about the long history of this music. I have never heard of the island of Cabo Verde before! But it looks like a place that I would love to visit. Glad you enjoyed it Jim! I had a hard time narrowing down my music choices. There is a lot to choose from. The Putumayo collection of Cape Verde is a great starting place.